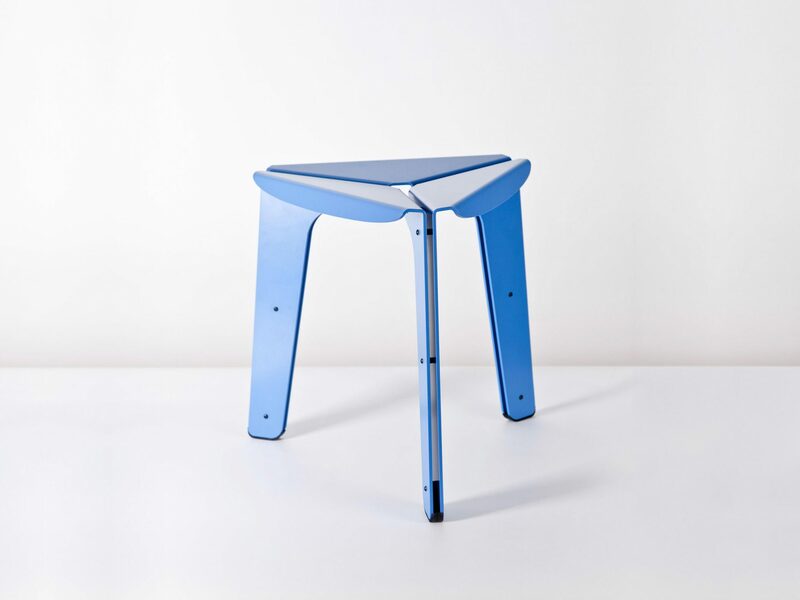 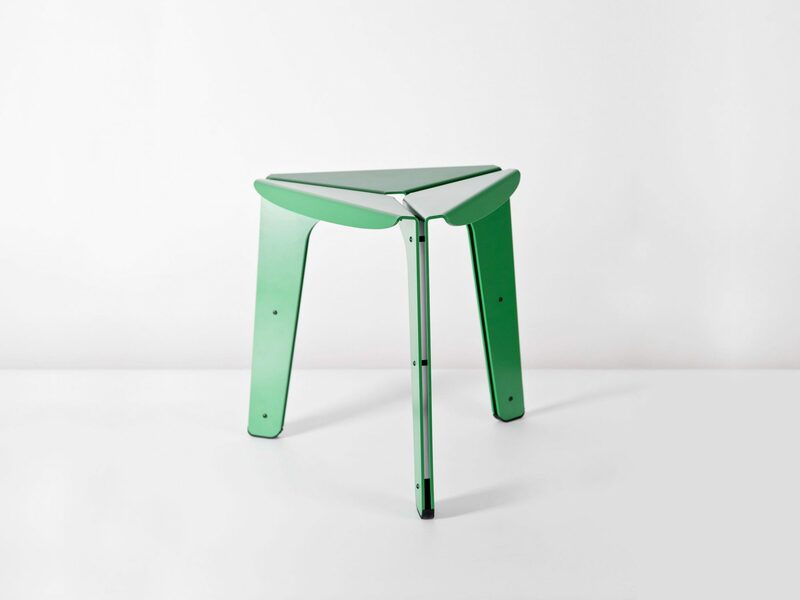 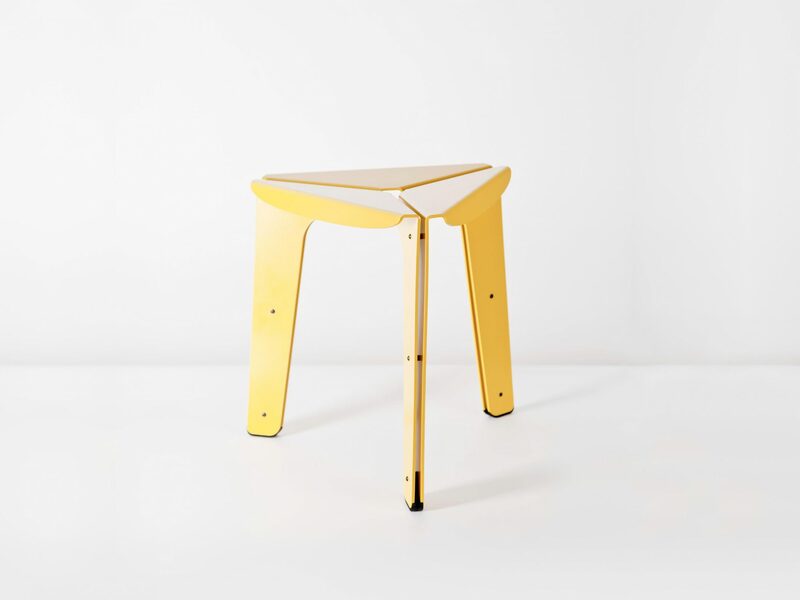 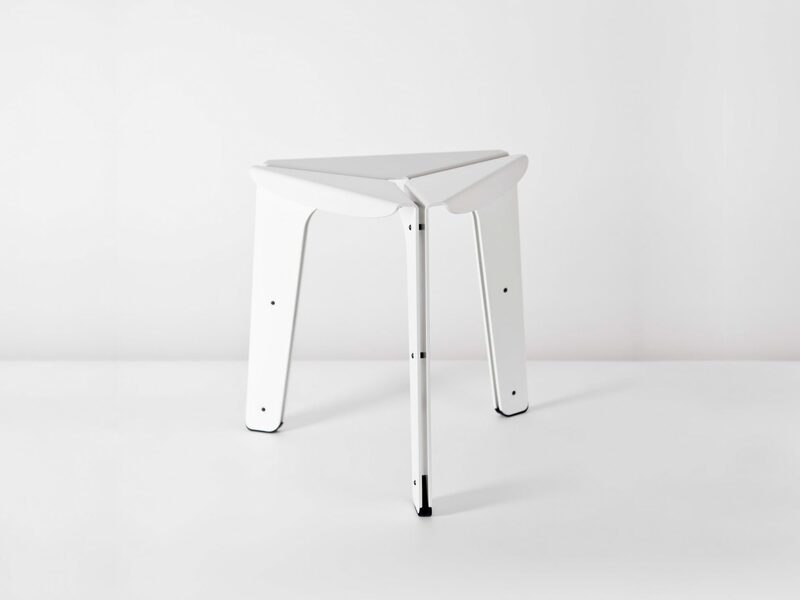 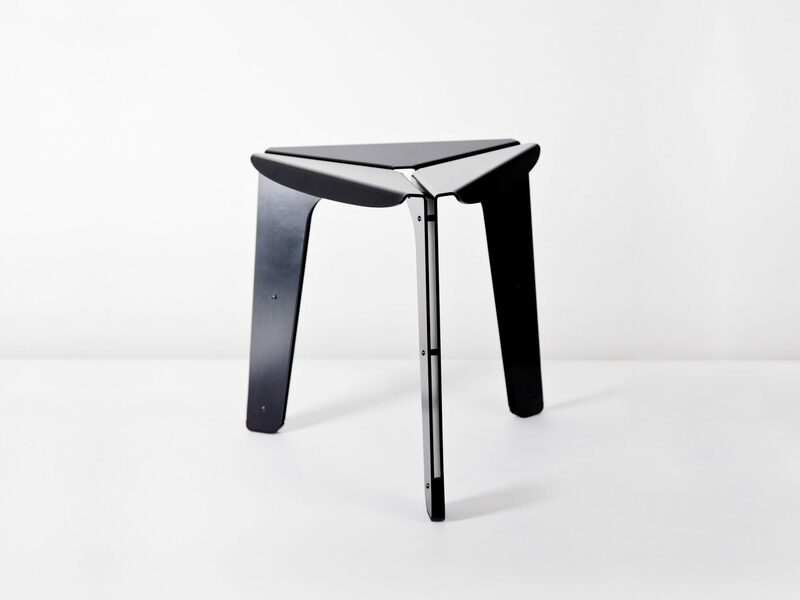 Stool created by the repetition of a simple aluminum sheet element. 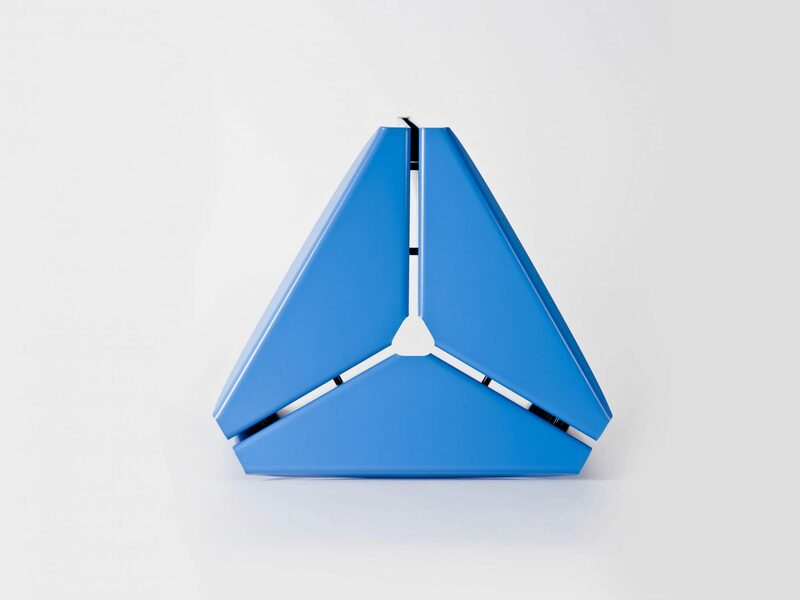 The idea is to reduce the operations of production process to the minimum. 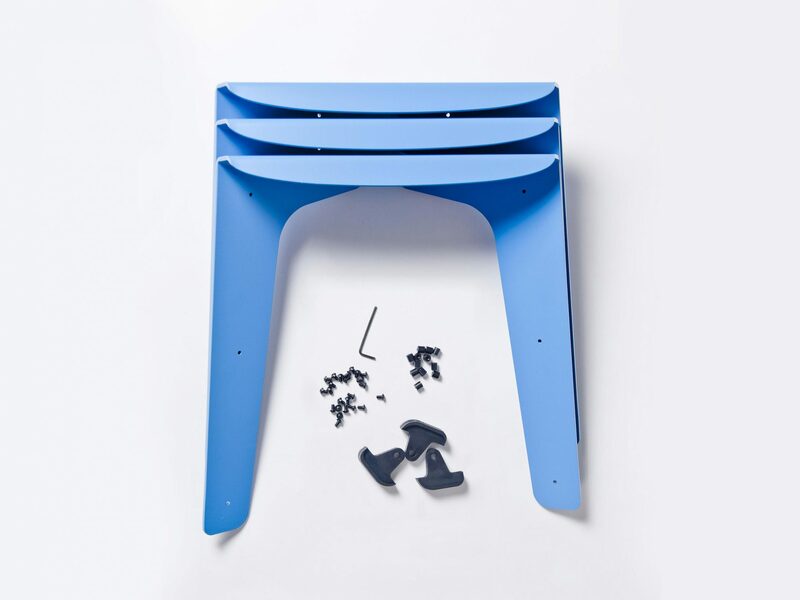 Three identical parts are laser cut and bended, then assembled together with screws.